Capalino+Company is proud of its commitment to giving back in communities across New York City. 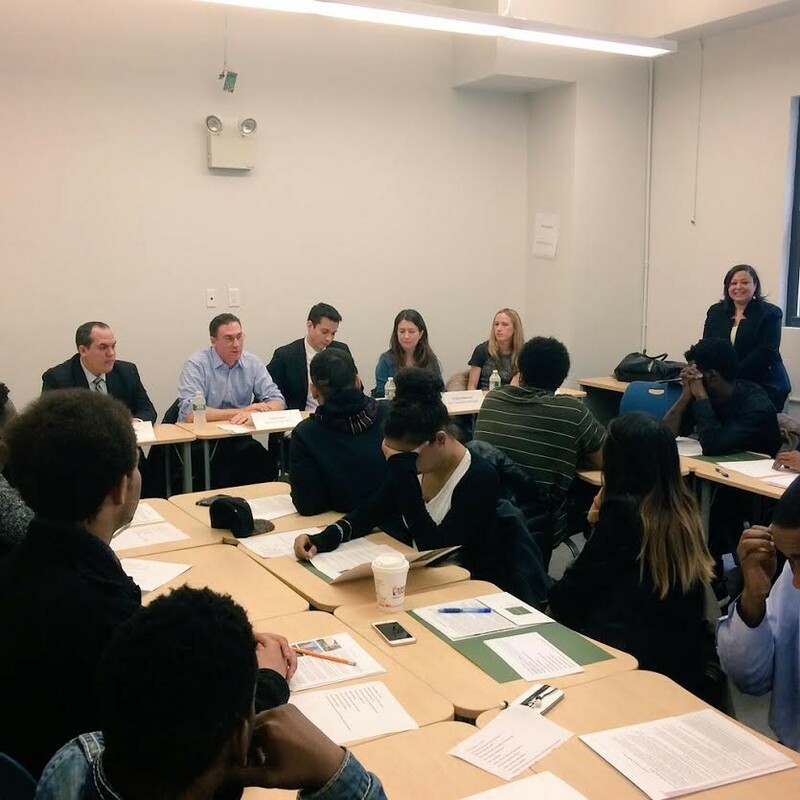 On Wednesday, December 2, our team hosted a panel discussion on the lobbying profession for participants in the Young Adult Internship Program (YAIP) at The Door, a 43-year-old social services organization in lower Manhattan, which provides a range of innovative programs for young people. This panel is part of an ongoing series of workshops that Capalino+Company staff will offer to the participants in YAIP, an internship and career development program for 16 to 24 year olds who are not in school and not working. Wednesday’s panel was an opportunity to encourage young people to explore their passions, offer mentorship and career advice, and highlight the ways that lobbying applies to the everyday lives of the young people. The Capalino+Company panelists included: COO Travis Terry, Vice Presidents Ashley Thompson and Steven Figueiredo, Compliance Manager Kristin Palmason, and Analyst Andres Pazmino. The event was organized by the Capalino+Company CSR team, led by Executive Vice President Jeanne Mullgrav. 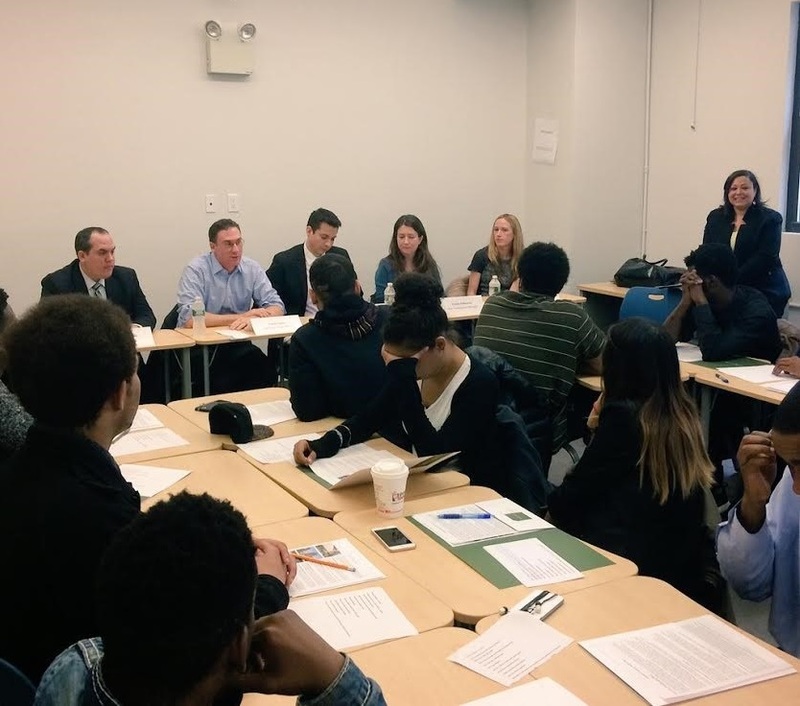 The panel was moderated by Jeanne, who, before joining Capalino+Company, was the Commissioner of the NYC Department of Youth and Community Development, where she spearheaded the creation of the citywide Young Adult Internship Program in 2007. To learn more about the Capalino+Company team, visit Our Team page. The panelists discussed what lobbyists do on a day-to-day basis, how the industry is regulated, and the constitutional reasons that the profession exists. They also shared more personally about their careers, how they came to Capalino+Company, why they’re passionate about their work. Finally, they offered advice to the young adults about how to get involved with the legislative and budget processes that affect their lives every day. Students asked questions about the role of lobbyists in activism, changing communities, and how lobbyists use their skills outside of work. “One of the many reasons I love my job is our company’s commitment to Corporate Social Responsibility. I was pleased to participate on this panel and share my experiences alongside my peers, and look forward to taking part in other volunteer opportunities. I am a firm believer that a strong CSR program is essential for any company that wants to attract and retain talent and promote a positive workplace,” said Steven Figueiredo, Vice President of Capalino+Company. Helping 10,000 individuals each year, The Door, in addition to education and career development, also provides health care services, counseling, legal assistance, supportive housing, recreational activities and more. The panel is part of Capalino+Company’s ongoing commitment to Corporate Social Responsibility. Just as our Corporate Social Responsibility team helps for-profit clients to create CSR programs that become synonymous with the values of their companies, we follow those same principles within our own firm. The Capalino+Company team participates in volunteer efforts throughout the year, including our August gardening project with the Frederick E. Samuel Resident Association, our volunteer events with the Door last December, our company’s matching gift program for employees, and two more upcoming panels at The Door on legislation and budget in January. Click here to learn more about Capalino+Company’s Corporate Social Responsibility team.